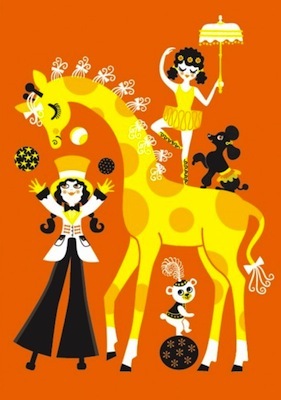 Plenty of interesting and colourful artwork for kids out there, with this Majas Cirkus Poster by Omm Design at Hus & Hem joining that ever-growing market. The design is by Maja Andersen, a US-based artist inspired by classic kids illustration – and it shows. This could really be a vintage design from the 1960s. But it is actually a modern piece, sized at 50 x 70cm and selling for just £18.95.